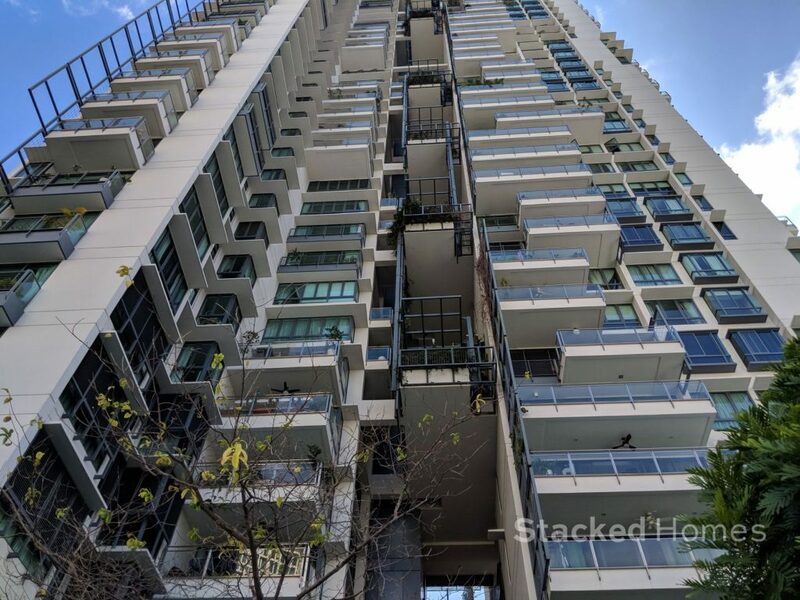 Rivergate is the best positioned condo on the waterfront, there is a good unit mix for all family sizes and the facilities are top notch. If you want peace and quiet, its best to look elsewhere. 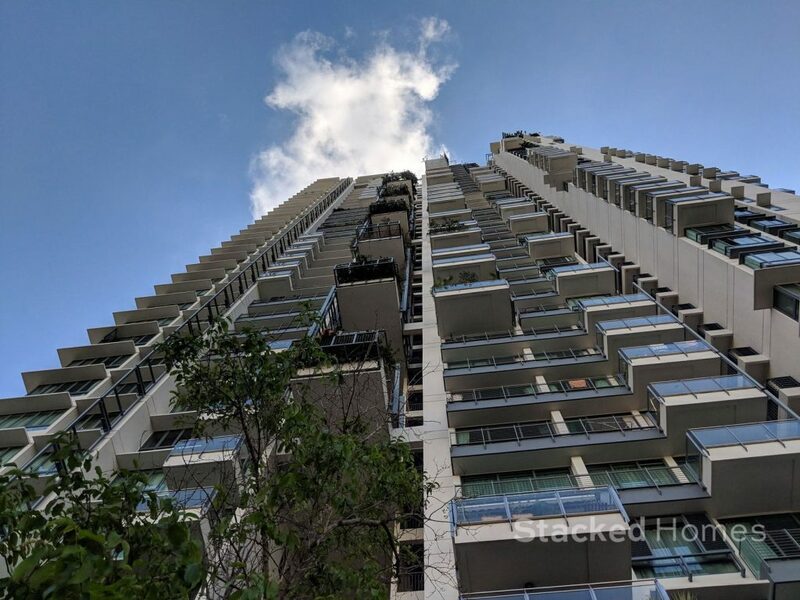 If you are looking for a condo along the Singapore riverfront, the Rivergate condo is probably the biggest that you will find. 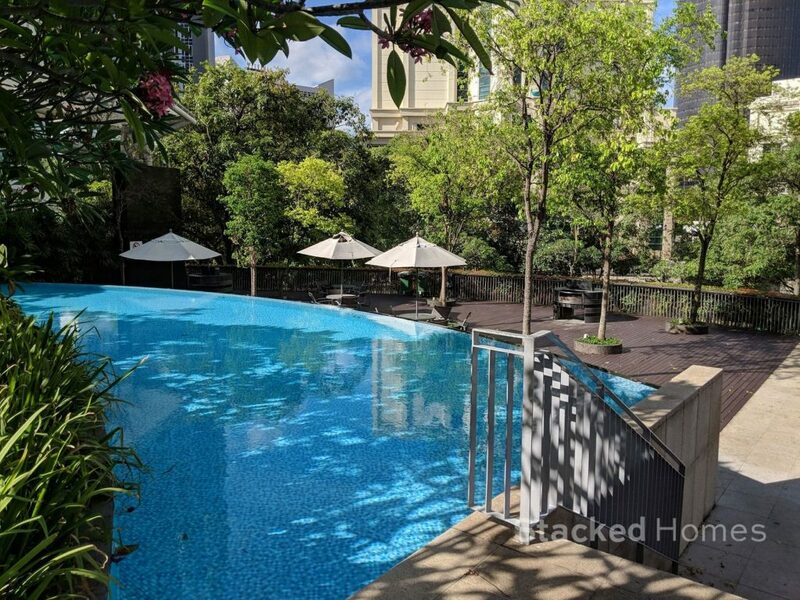 There are only so many condos that can be situated on the Singapore riverfront, so no doubt staying here will cost you a pretty penny. 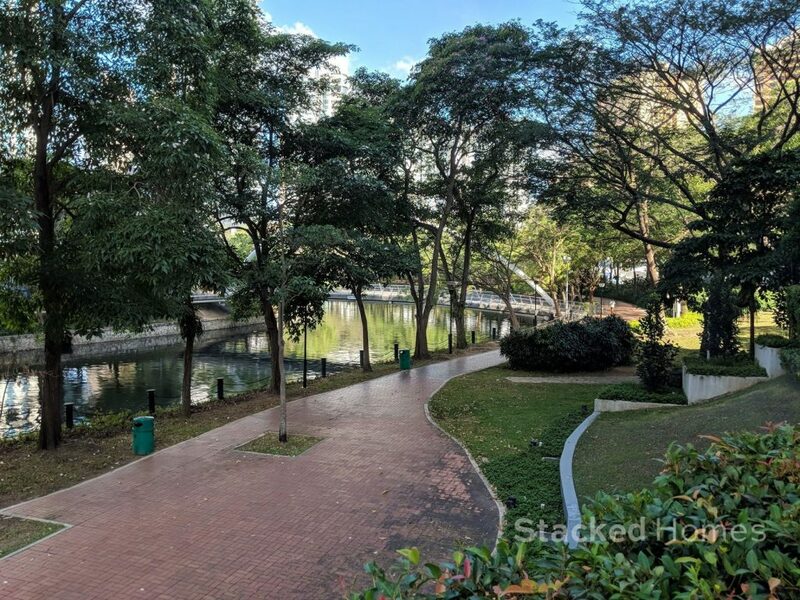 Admittedly, we had our reservations about the attractiveness of staying by the river, but there is something very appealing to be able to take a morning or evening stroll by the river. 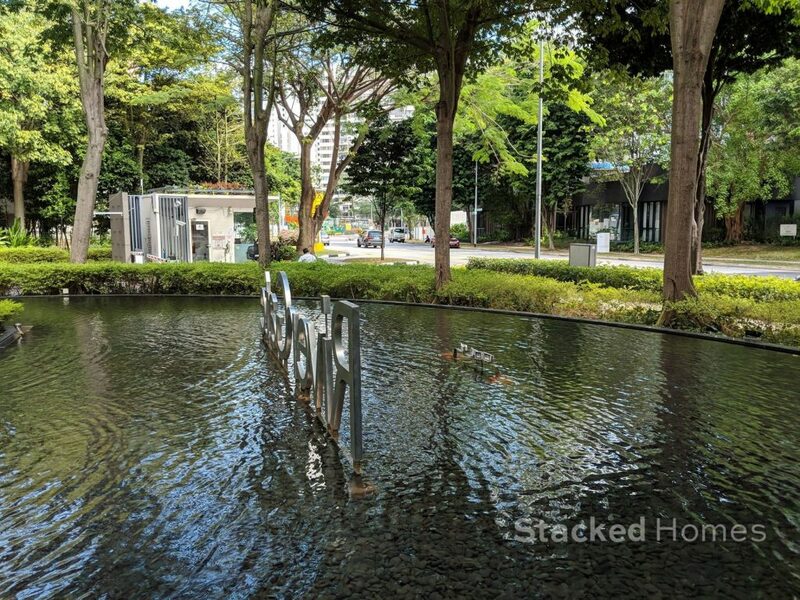 It is definitely a rare thing to be able to do in Singapore, and not to mention being located in District 9 which is one of the premium districts. 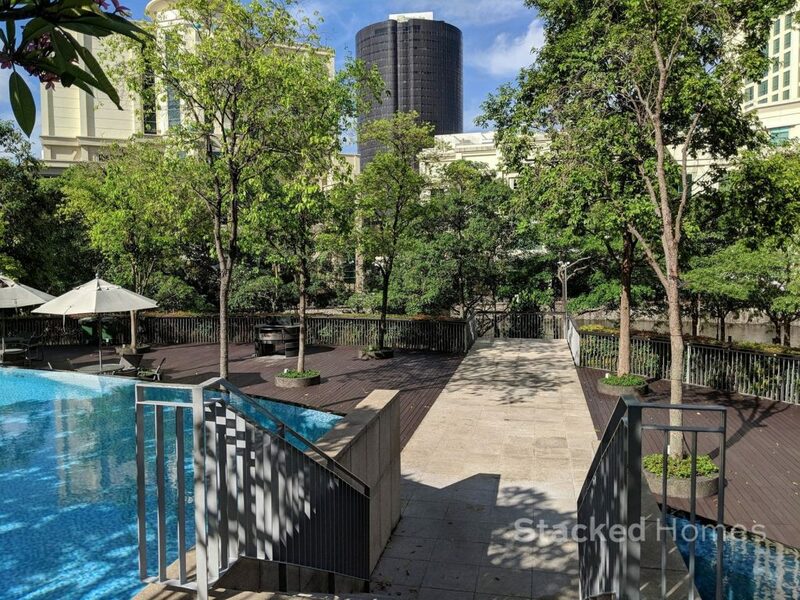 So if this is the lifestyle that you are looking for, the freehold Rivergate condo could be a very viable option. Let’s check it out. 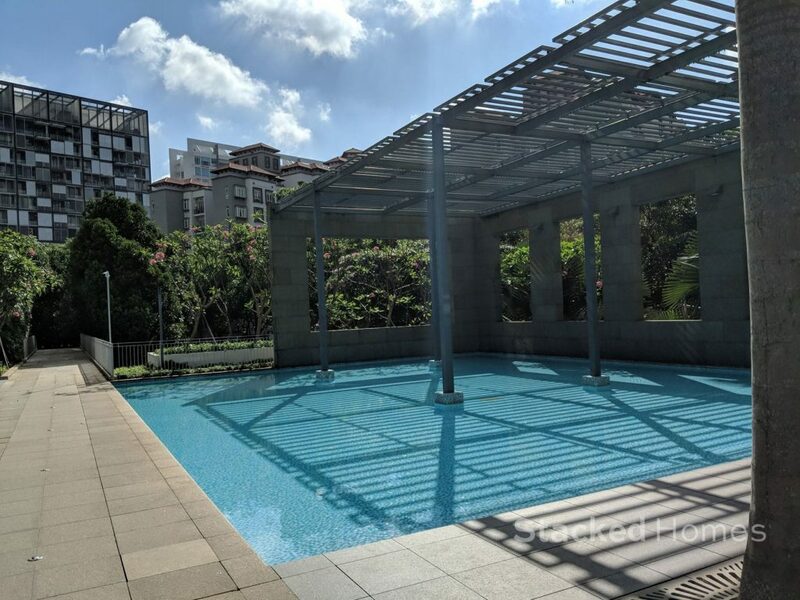 The Rivergate condo is located at Robertson Quay. 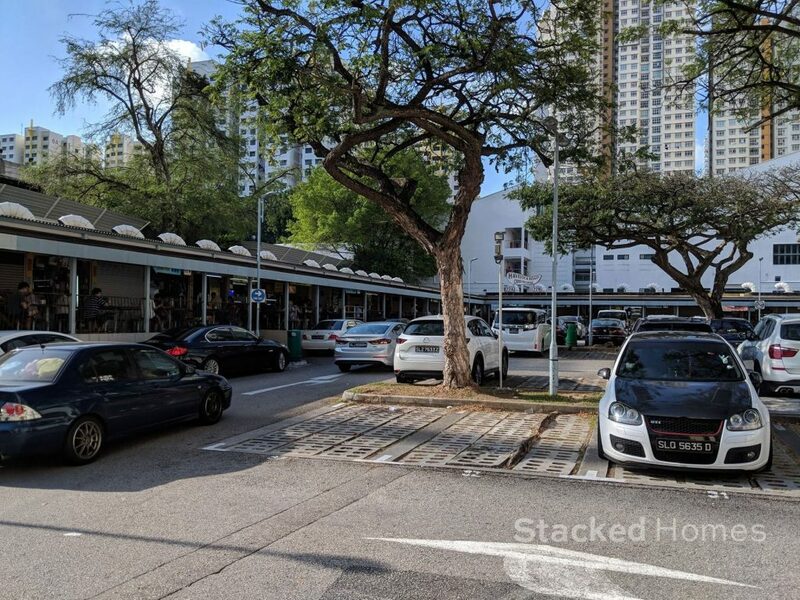 If you are not familiar with this area, it is an extremely popular location amongst expats and has great nightlife especially during the weekends. 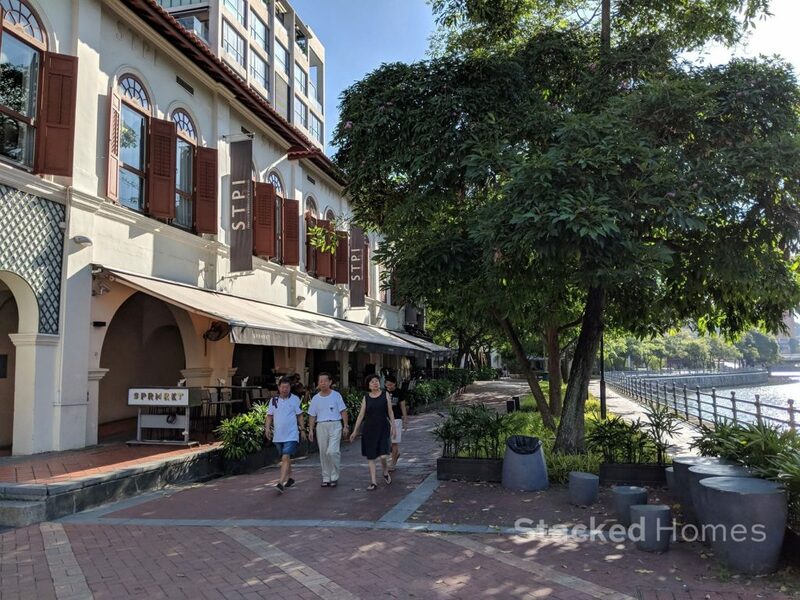 Unsurprisingly, this place can get pretty crowded as people will come for brunch by the river, and again at night, for the many bars that have chairs and tables that spill out on Robertson Quay. Which means if you are looking for a quiet, idyllic life by the river you are probably not going to get that here. In terms of location, we are big fans of the location of the Rivergate. 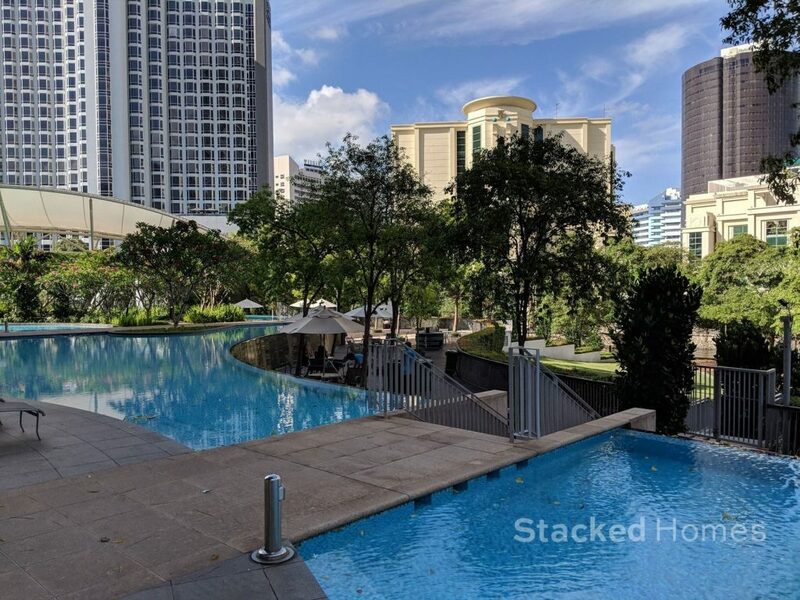 If you look at the map, we feel that it is the best location out of all the river front condos as it is right next to the river, and is also in a quieter spot yet still close enough to the action at Robertson Quay itself. 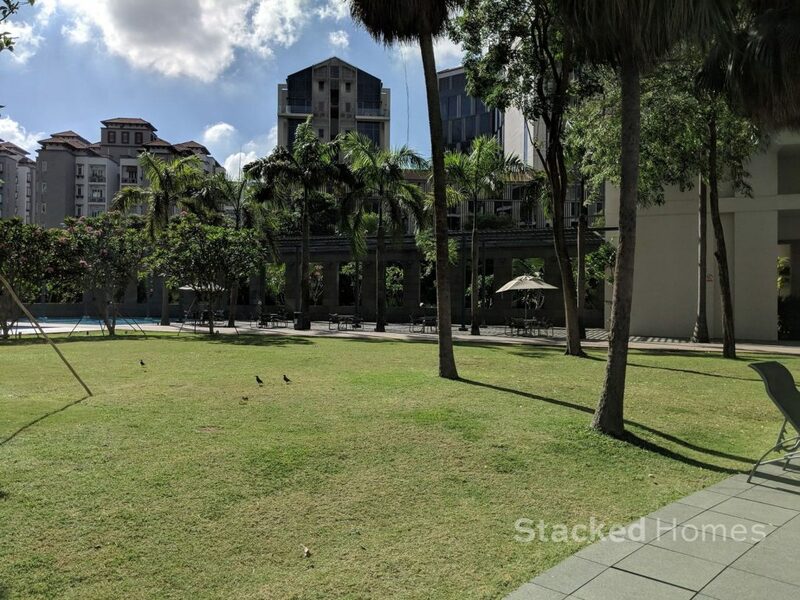 It is also very near to River Valley Primary School and offers the right blend of living for both families and expats that want some nightlife. 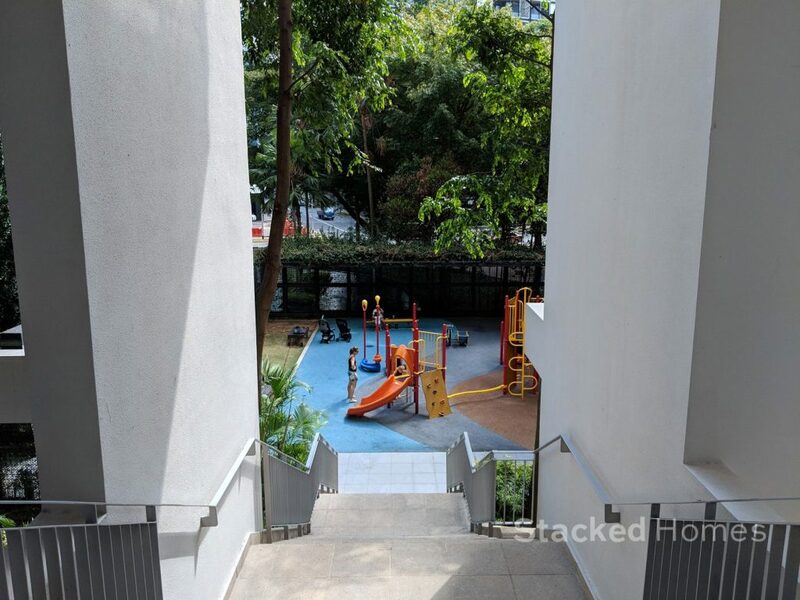 There are other schools nearby like Raffles Girls Secondary School, St Margaret’s Primary School, Anglo-Chinese School and Chatsworth International School. 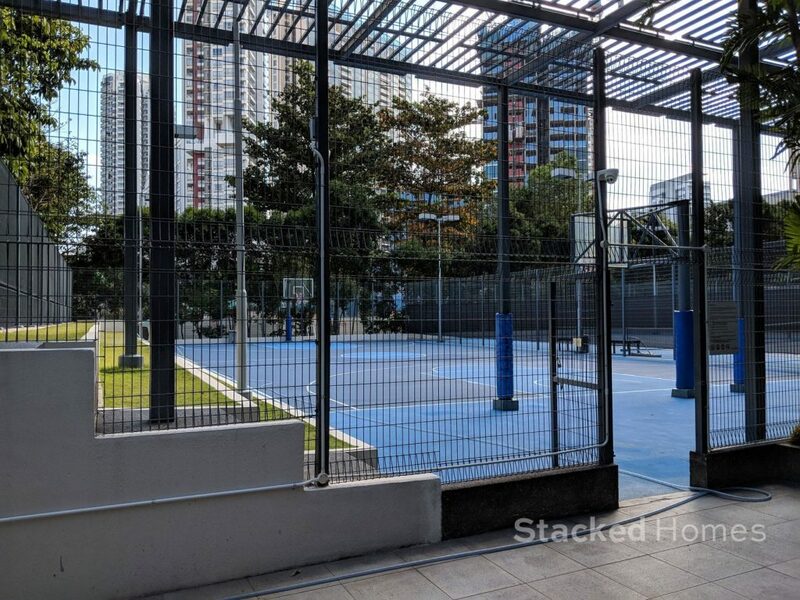 But really, for ultimate convenience, River Valley Primary School will be your best bet. Your kid will thank you for it. After all, at that age there is nothing better than being able to wake up 10 minutes before the start of school and still being able to make it on time. So for food options, you are almost spoilt for choice here being situated at Robertson Quay. You have your western options like Three Buns, Porta, Lucca’s Trattoria and Japanese ones like Yumeya, Plum & Toro and Shin Minori. The Rivergate has its own Italian restaurant, Limoncello located within its compound. It’s just around this corner! And if you need groceries on demand, there is even a little grocery shop right next to it. 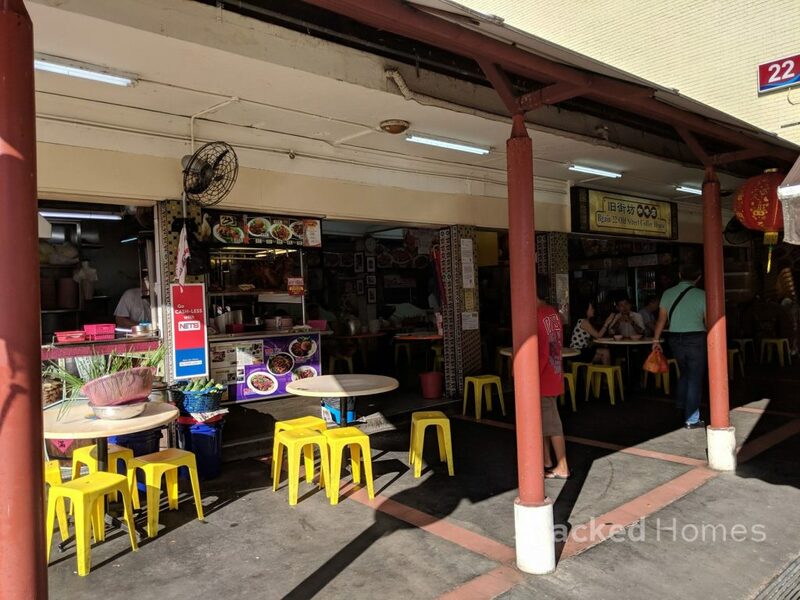 If you are after cheaper hawker fare, you will have to travel further a little to the Havelock area. Great World City is the nearest shopping centre, and with the latest revamp it will be even more attractive to visit. 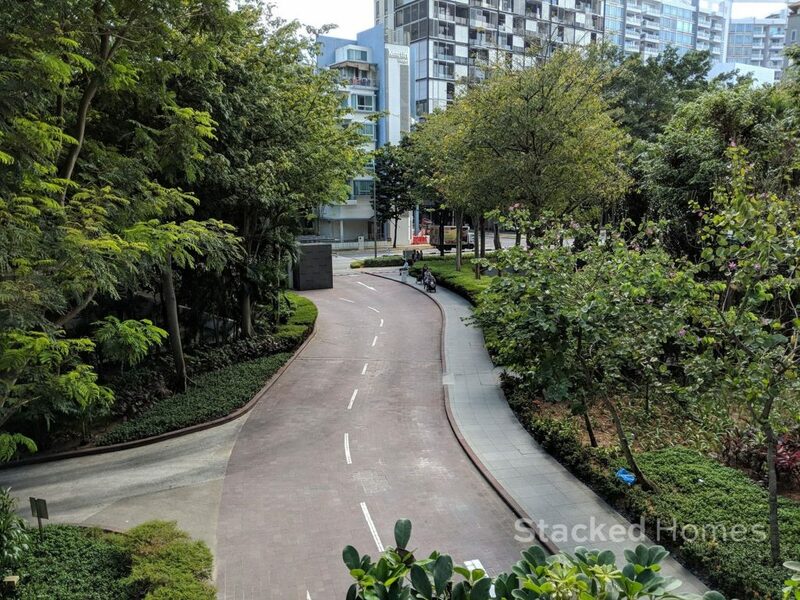 Of course, one reason why River Valley is so popular is because it offers close convenience to Orchard but yet being a residential enclave it is a lot more liveable. 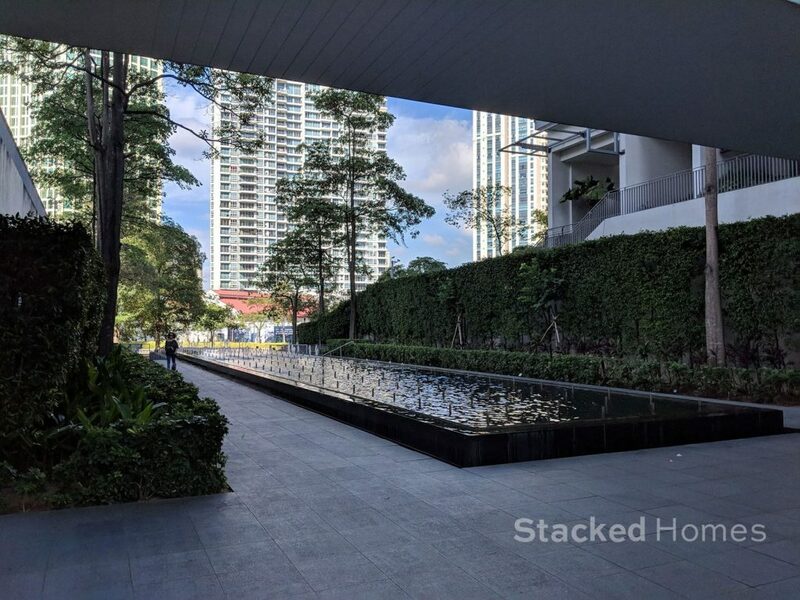 As you would probably know by now, we value condominiums that have multiple entrances to the development. 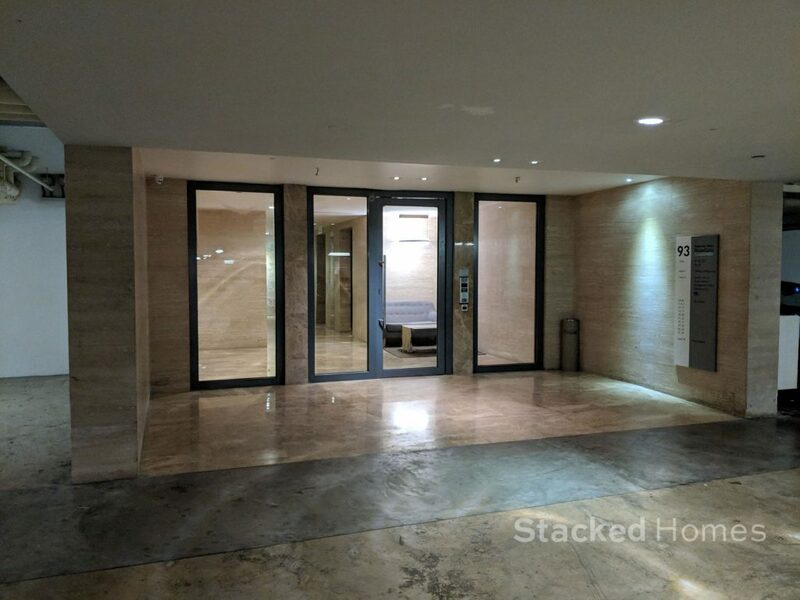 Although in this case, the Rivergate condo only has one entrance, but its location along River Valley Close is great because there are different ways that you can access the development. 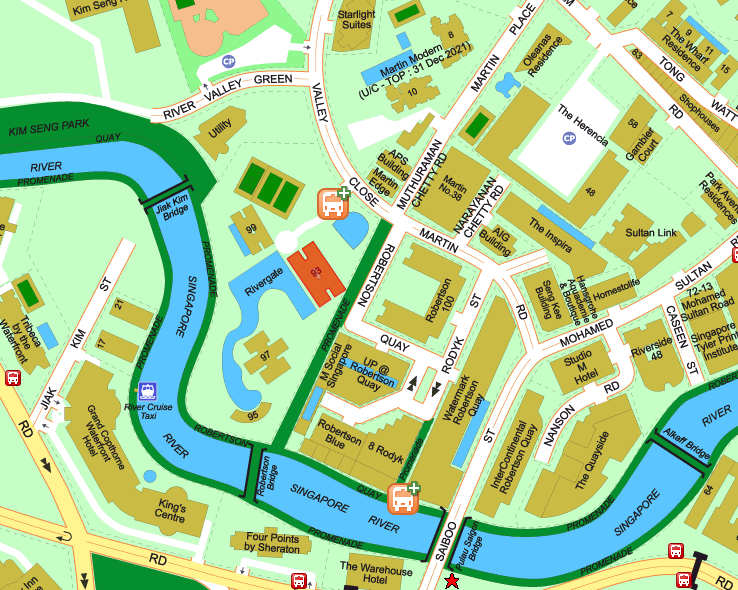 Essentially River Valley Close/Martin Road/Saiboo Street connects the two major roads, River Valley Road and Havelock Road. 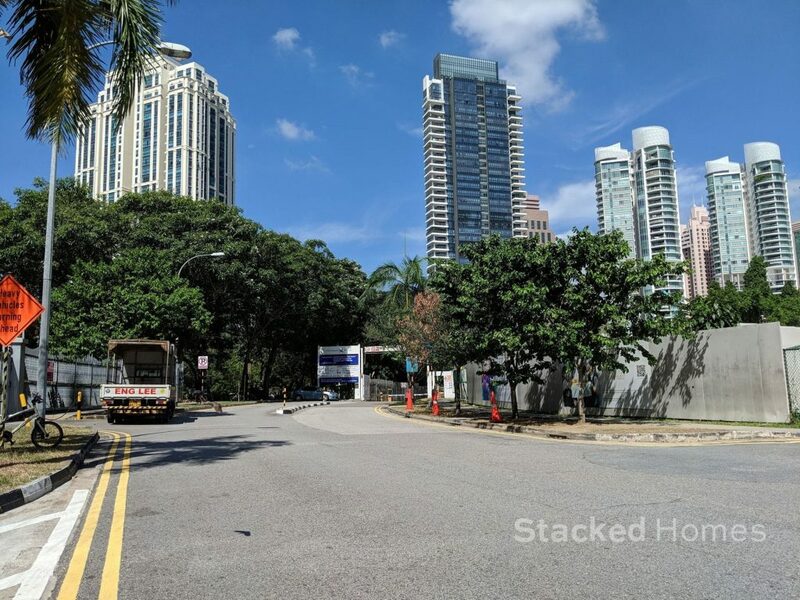 So this means that whether you are coming back from Orchard or the Outram side you will be able to get back home very quickly. 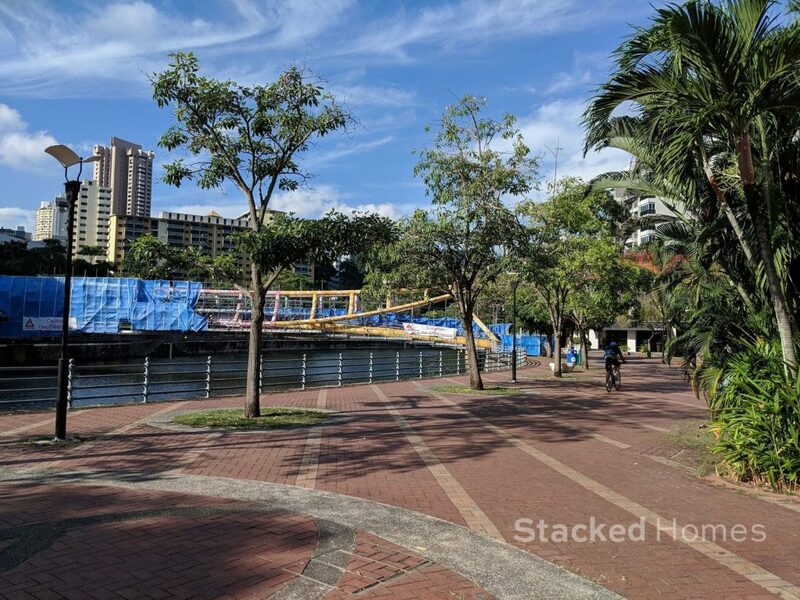 With the addition of the Thomson-East Coast line, the value of the Rivergate condo has also been boosted because Great World MRT station is now within walking distance. 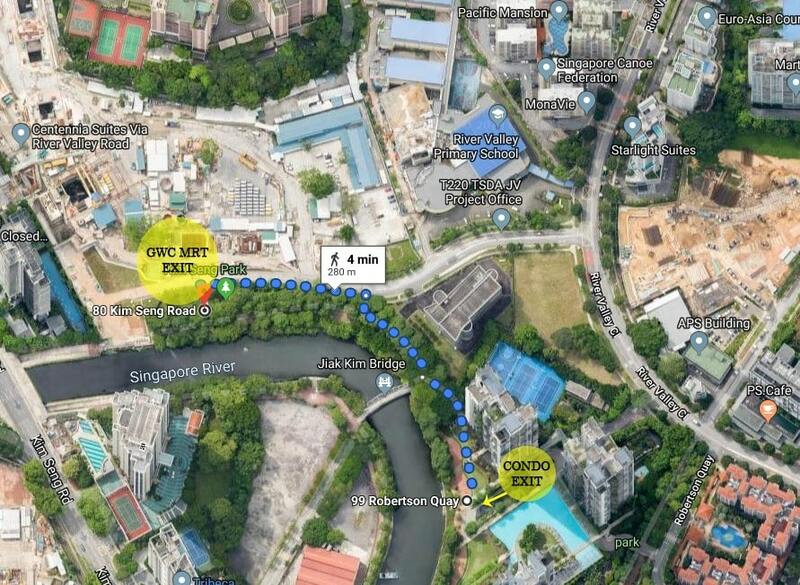 It’s hard to tell from the map, but you can actually walk via the river and cut through the back of the utility station to reach the MRT station. We estimate it to be just a 2/3 minute walk, which is really awesome. In the future, it will lead you to Great World City itself so it will be really convenient. 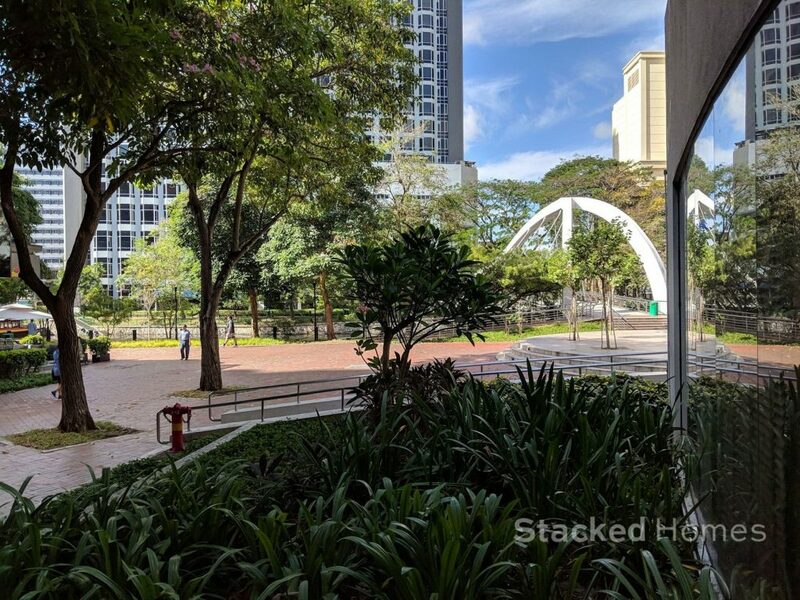 If you like to get to the Downtown line instead, Fort Canning MRT station is walkable in under 20 minutes, but its definitely not something we would want to do everyday. Perhaps the one downside to the development is the proximity to a bus stop. The closest by is right in front of the Tribeca at the Waterfront, which is opposite the river. There are two bridges you can cross depending on which block you are living in, but its still a bit of a loop. It’s not a far walk by any means, but if you rely on the bus a lot this could affect your decision. 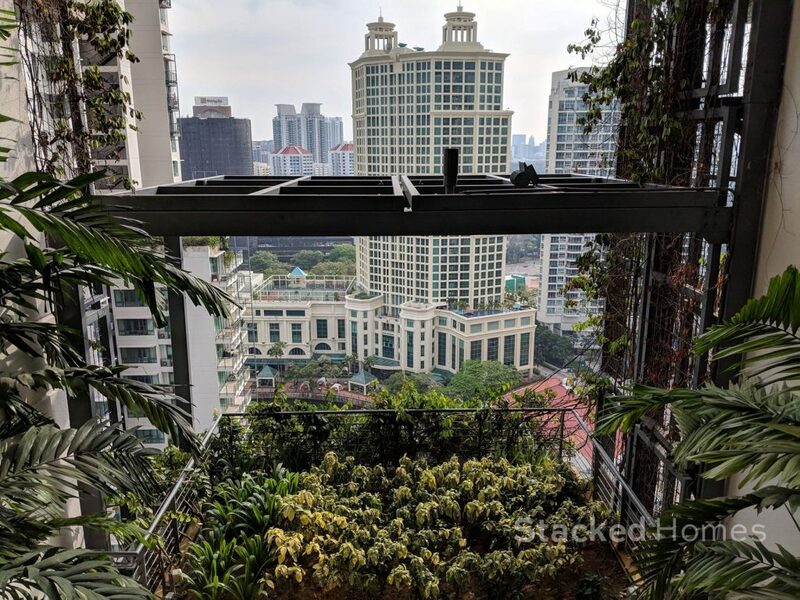 Ultimately, the clientele of this condo would most probably not see this as much of a downside, and will rely more on Grab or the MRT. Probably one of the more interesting aspects to the Rivergate condo is that you can actually take a water taxi! 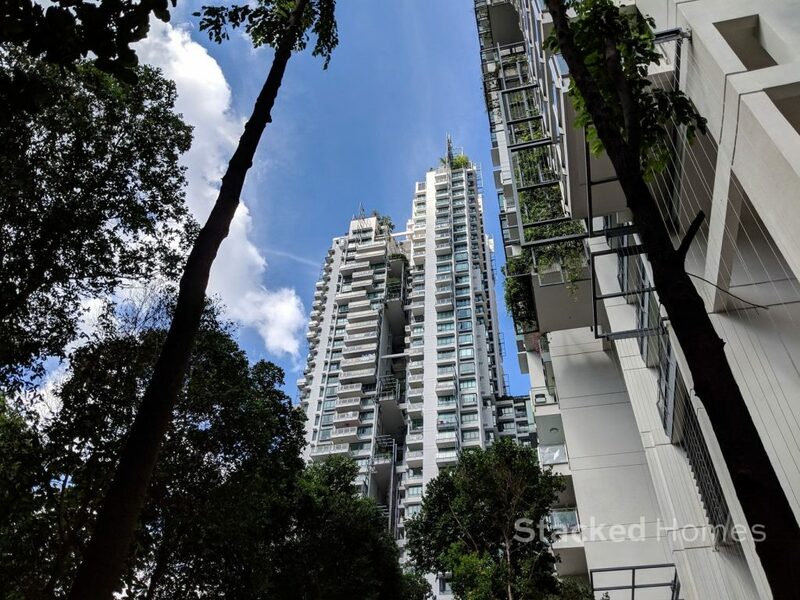 There is a stop right in front of the condo and you can take it to other spots like the Asian Civilisations Museum, Merlion Park, Esplanade and the Singapore Flyer. It costs $5 per person and you can hop on one every 20 minutes during the service hours. Admittedly, this is not something you would be doing frequently and is more of a touristy thing to do. 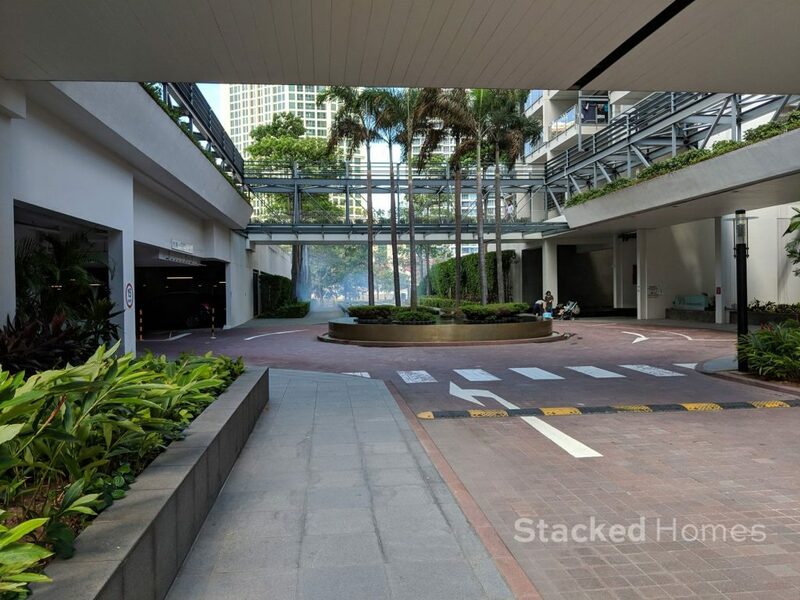 But it can come in handy if there is a traffic jam and you would like to get to the shopping centres in the Suntec area for example. Not many people in Singapore can boast of this as a transport option! As we said earlier, Rivergate condo is one of, if not the biggest piece of land on the river front area. That means what you get is a good sense of openness despite being located in the city centre. 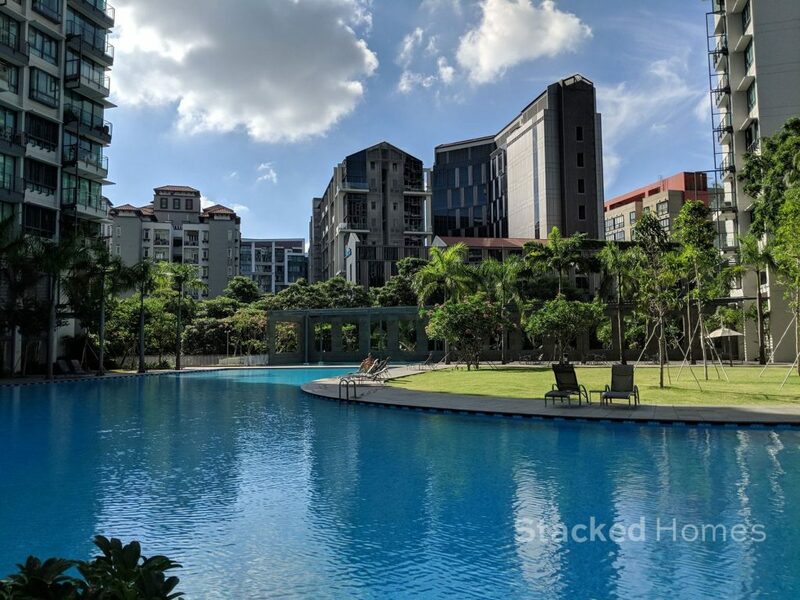 The nearest developments are some distance away and so you do not get that overcrowded feeling at all. 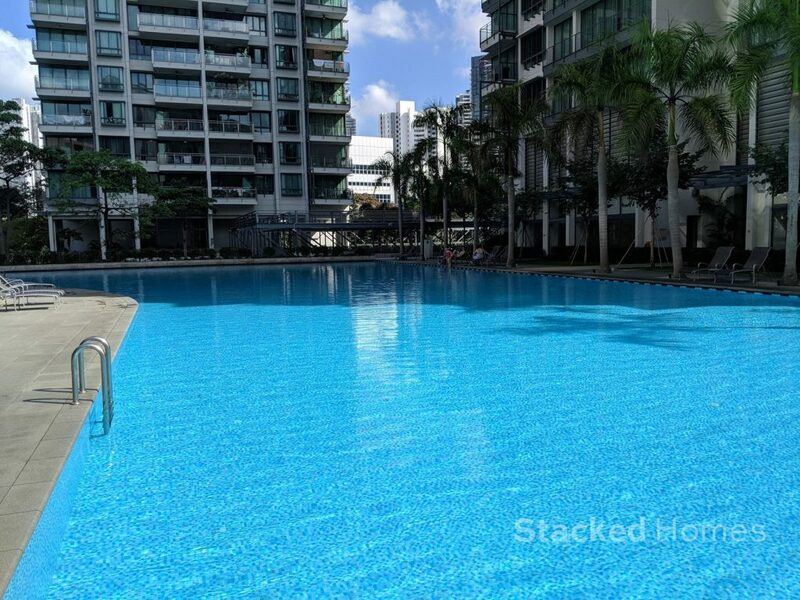 The whole length of the river like swimming pool spans the length of the waterfront, so you always get fantastic views from the swimming pool no matter what. The numbers you see at the side are the maintenance costs per month for each unit. 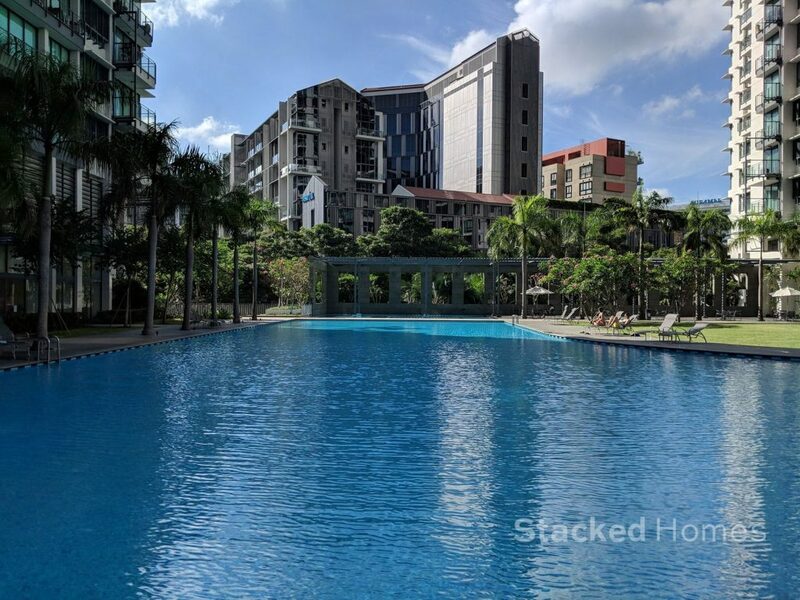 They are quite reasonable if you were to benchmark against other condos of this size, and with the amount of facilities available. Now, Rivergate despite being 10 years old now is still a very much modern looking condo from its facade. To some it might look quite messy, but we think the design should stand the test of time. 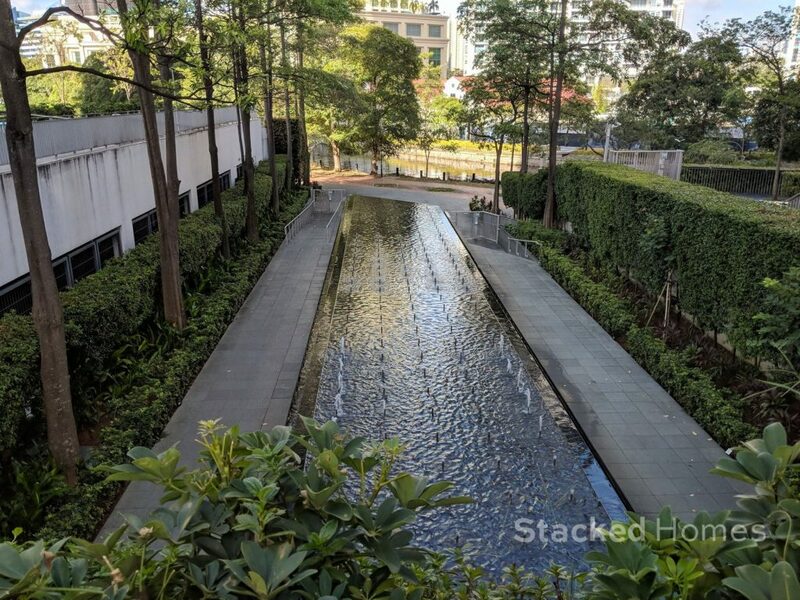 Huge water feature upon entering the development. It is a bit of a walk in, but its flanked by some lovely greenery. Also, its not sheltered at all so it will be a problem on a rainy day. Here you get to the roundabout where most Grab drivers will drop their passengers off. Thereafter, if you walk straight through you will be greeted with this view. Here’s a shot from the second level, you have two access gates that lead out to the river front. It must be really relaxing to be able to go on walks at the river front during off peak hours. 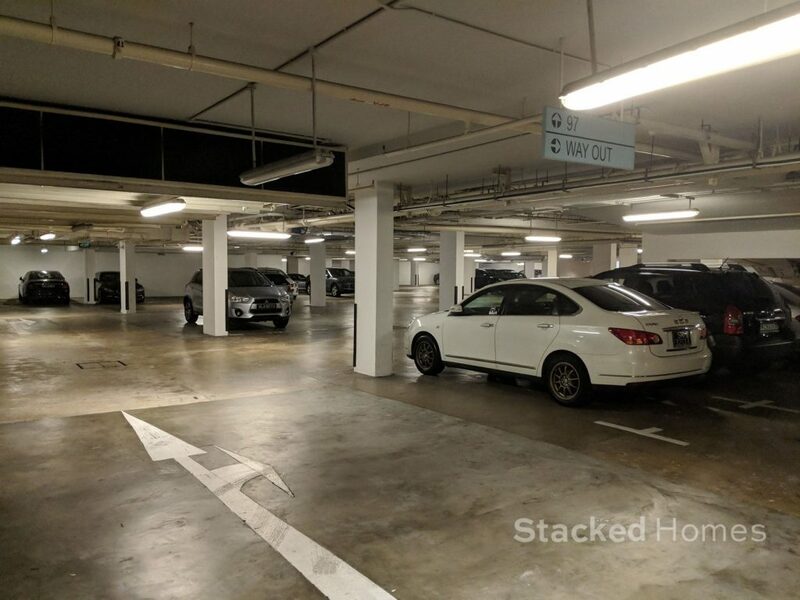 There are 2 levels of car park here at the Rivergate condo. 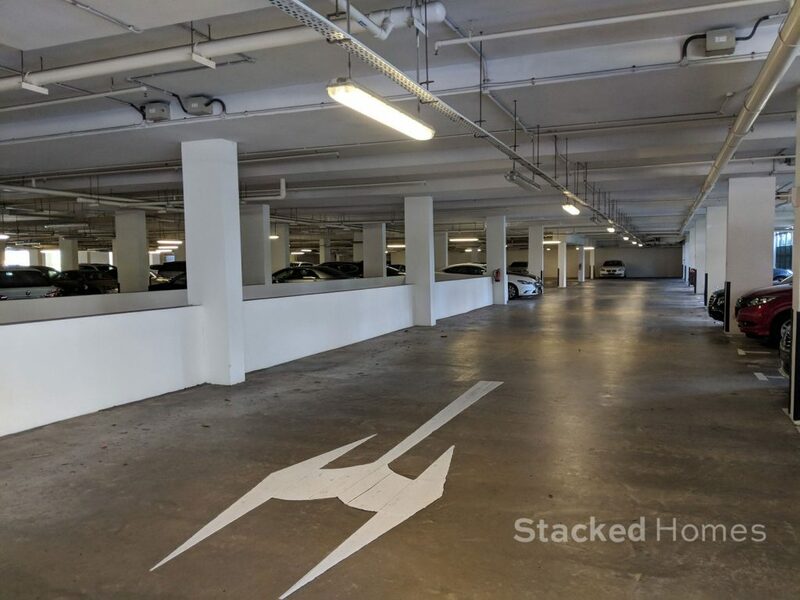 The floor of the car park is unlike the newer developments now, where the smooth surfaces make it look a lot more premium. Which is understandable, given the age of the development. 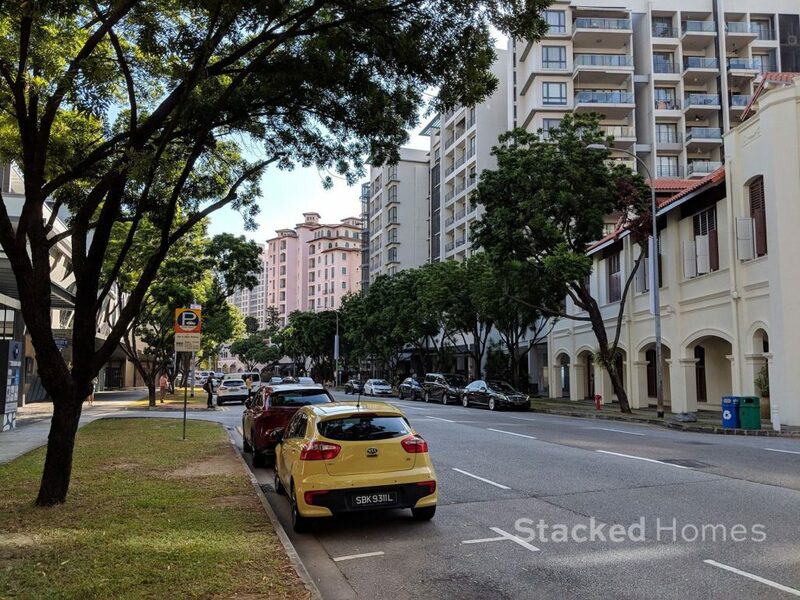 One of the best things about this development is the amount of carpark space. 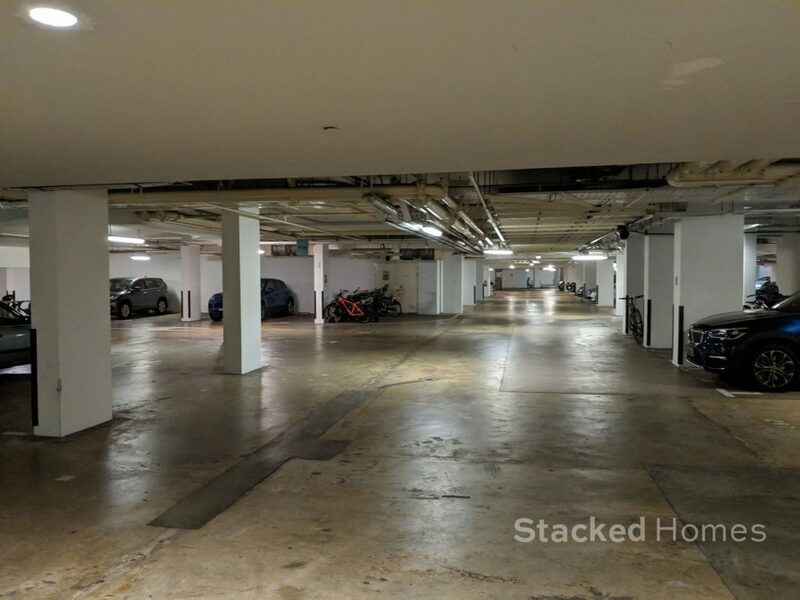 As you can see, there is an ample amount of space probably due to the high number of rentals here. If you are a car lover, this would be the right development for you. Thankfully, the lobby areas are air conditioned. 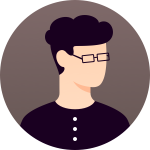 You will require a keycard to access the blocks, which provides an additional layer of security. 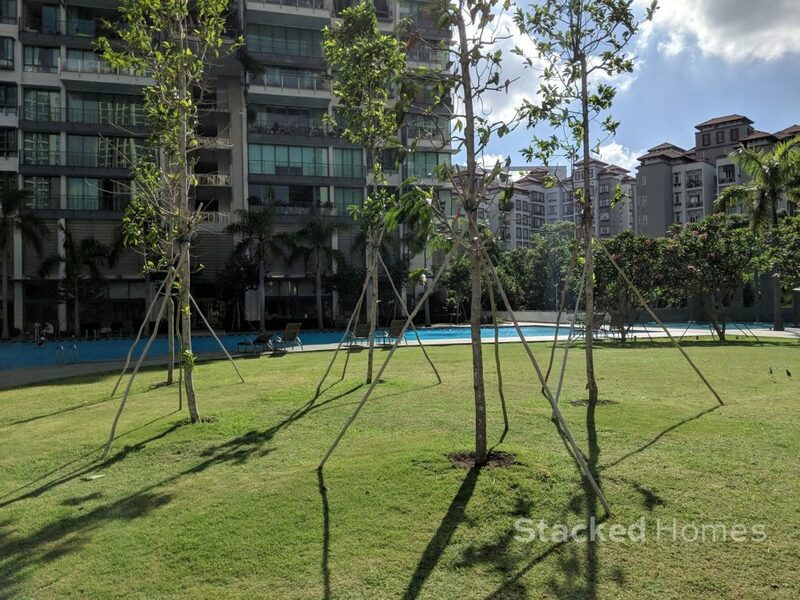 Once you get to the second level, you get to what is probably the most attractive part of the development, the swimming pool. It’s huge and really stunning. During the weekday, it is relatively quiet and peaceful as well. 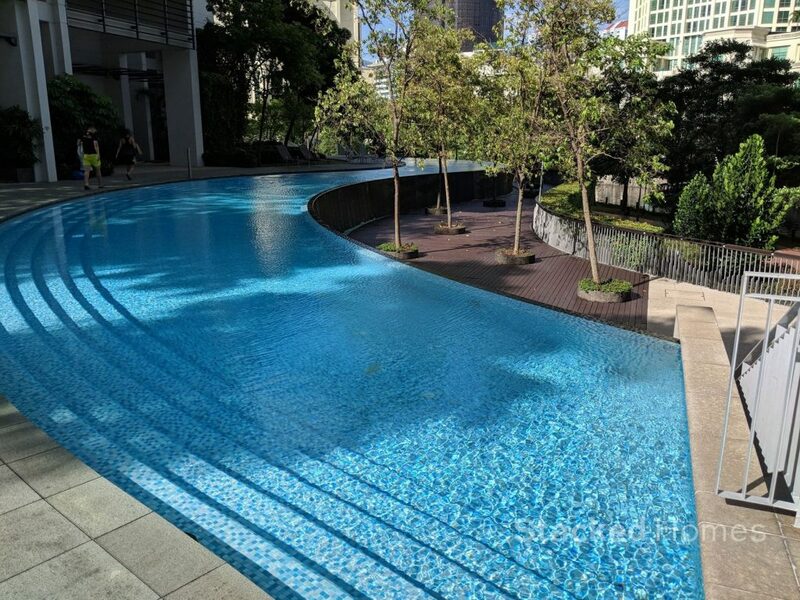 As you can see, it is an infinity edged swimming pool. 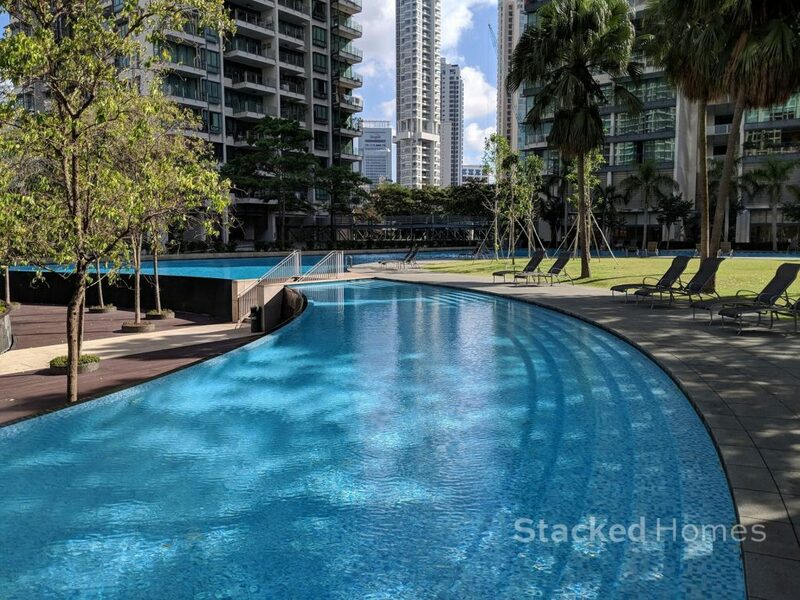 It is without a doubt one of the nicest condo swimming pools in Singapore. We love that it meanders around a bend, according to the curve of the development, mimicking a “river”. It is truly very unique, and despite the age of the development we have to say that the swimming pool has been maintained very well. Not an easy feat at all, judging from the size of it. Once you get to the back, it is even quieter here, and there are many spots to just sit and chill by the river. From the deck you can easily access the river front as well. Just one of the many entry gates into the development. This is another aspect that we really like, there are lots of convenient entry points. 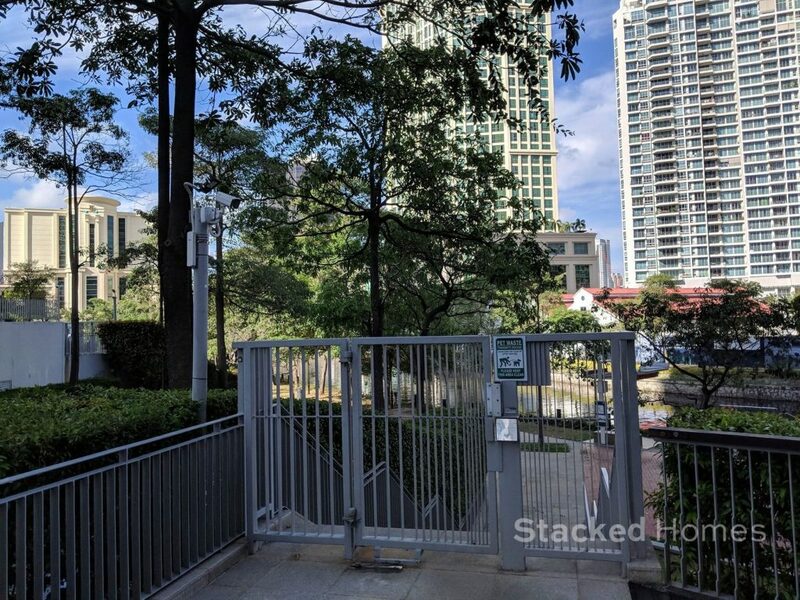 So unlike many other developments where you have to walk around the perimeter, you can easily get in whenever you please. 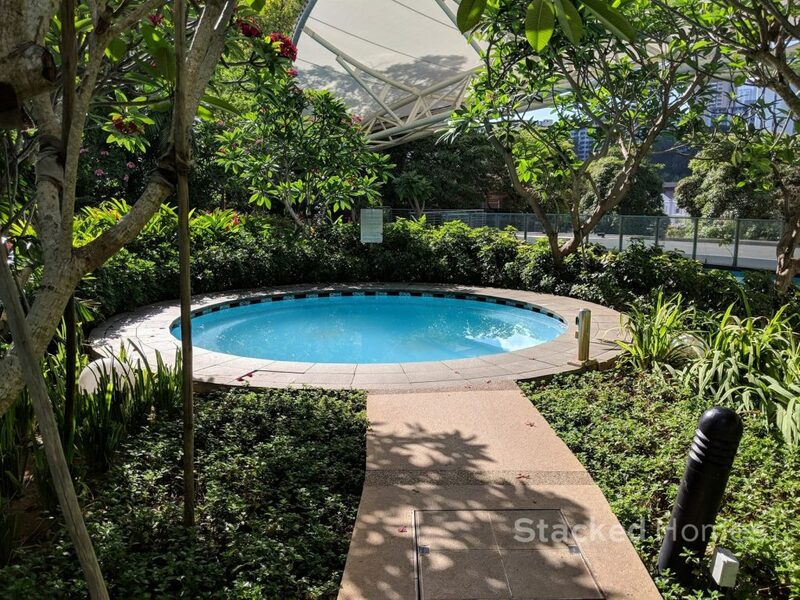 As if the massive swimming pool isn’t enough, there is a secluded jacuzzi situated slightly off. It looks tiny in comparison. Lots of empty space about the development as well. There is also a shallow area, for little kids to frolic about. 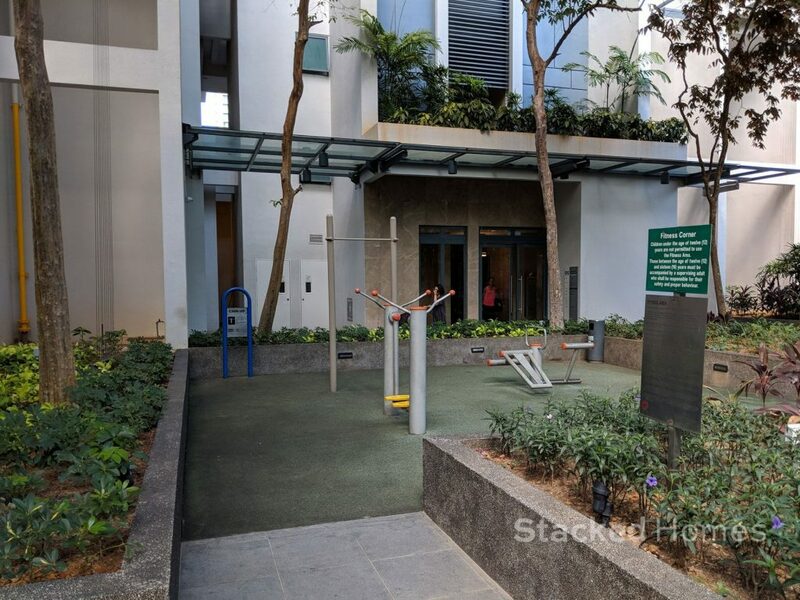 Of course, there is a full sized gym at the Rivergate condo. 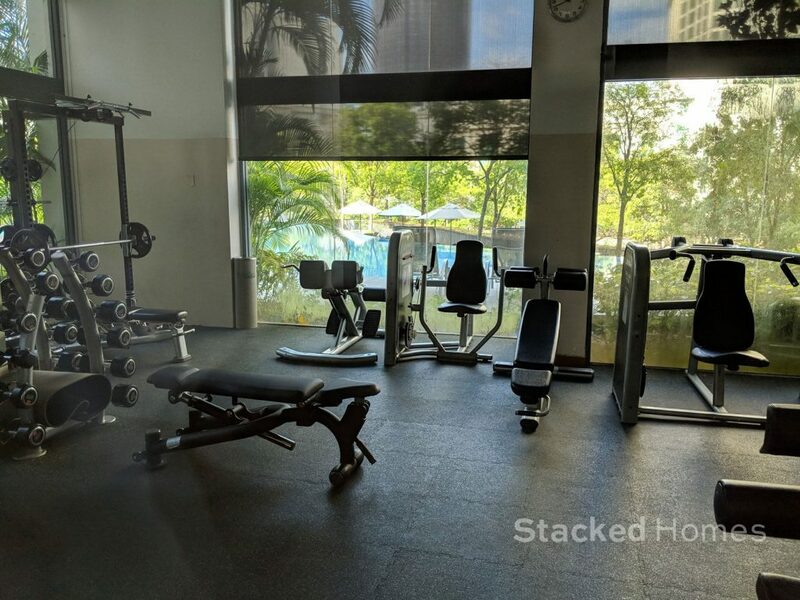 The variety of equipment is above average and you do have a nice facing of the swimming pool. It’s a pity the glass is not kept very clean though. There is also a sky gym which we will come round to later. There is also your typical fitness corner. And a playground for the kids. 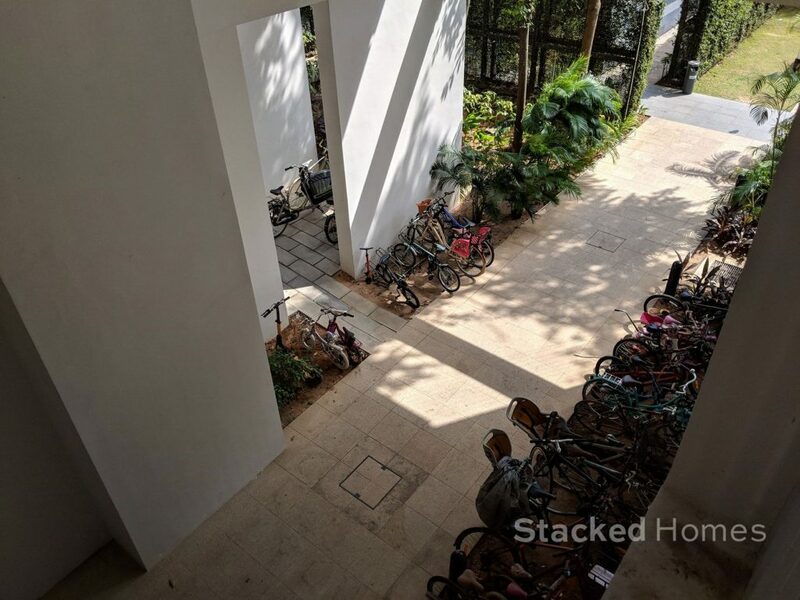 There is also an area to store your bicycles, that leads in straight from the main entrance. 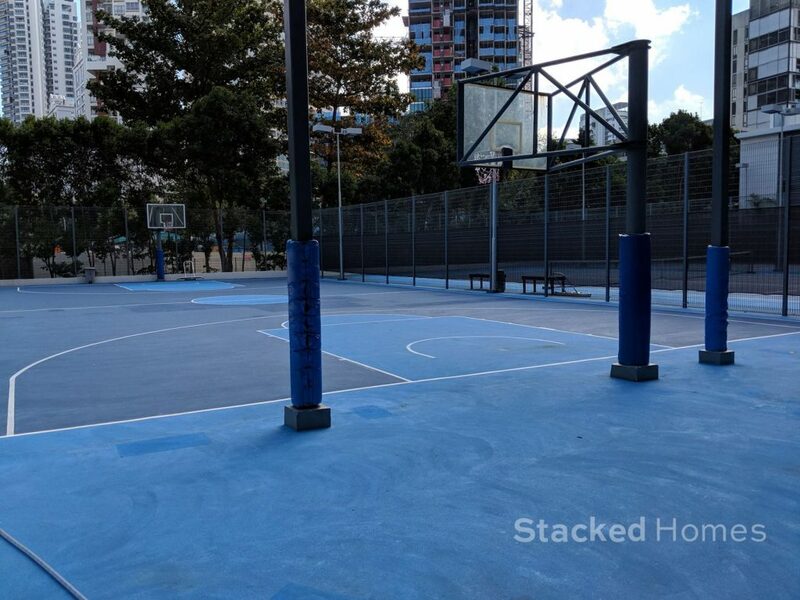 There is a full sized basketball court in the Rivergate condo, which is pretty impressive. There are even stands at the side to spectate. 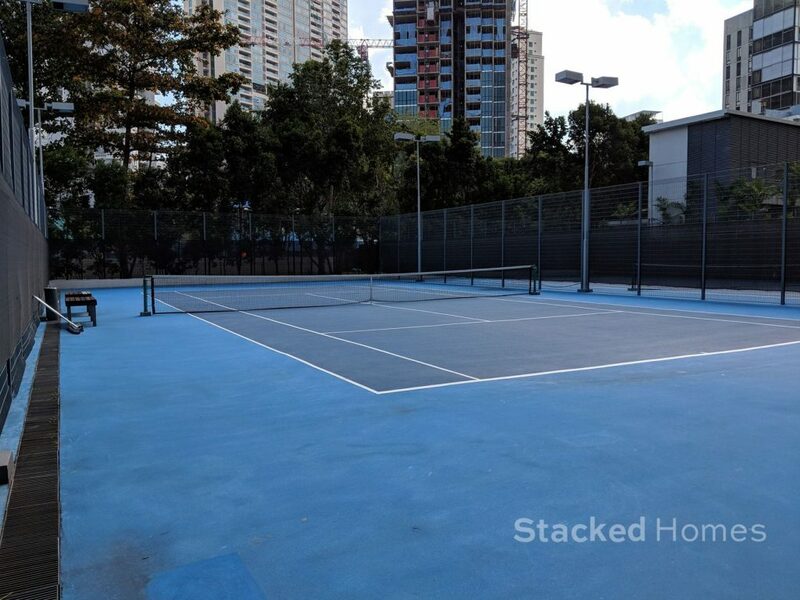 There are two tennis courts as well. They must have been recently refurbished, as they look to be in great condition for a 10 year old development. 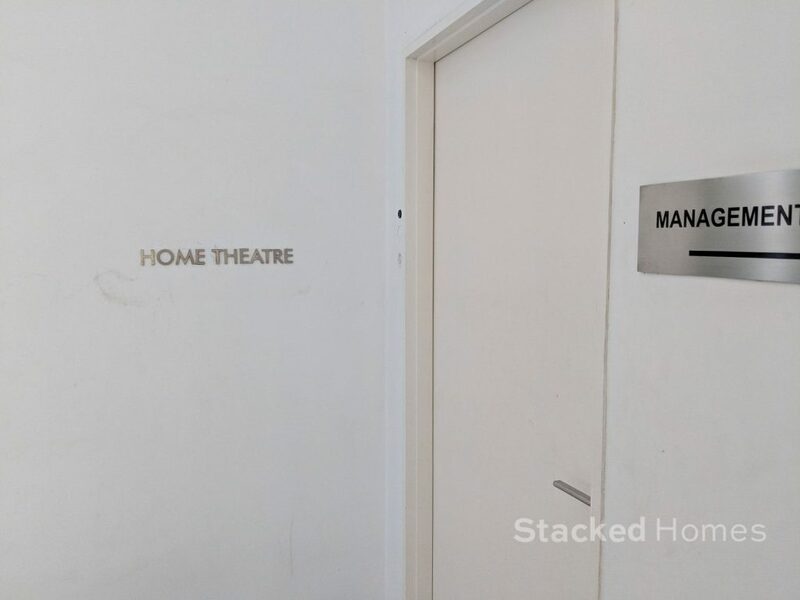 A home theatre and also reading rooms round up some of the facilities available on the development. 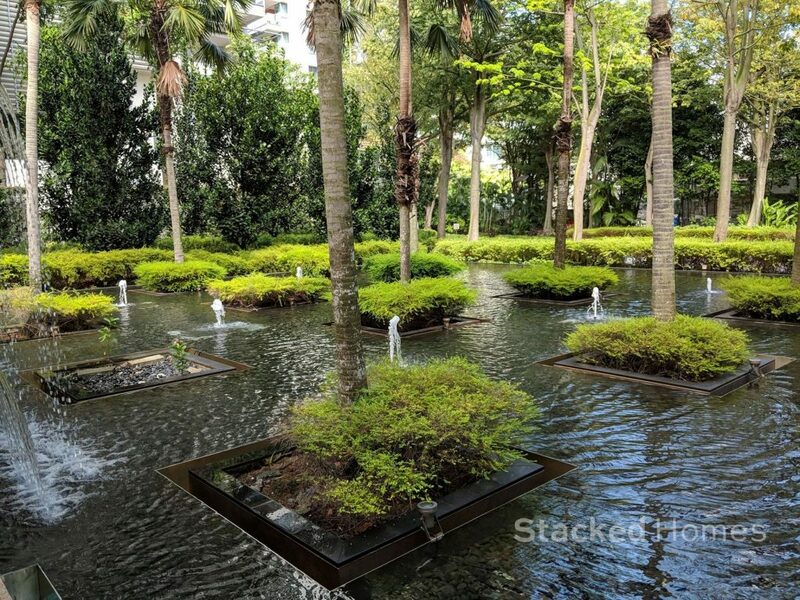 Every couple of levels, there is a sky garden. One downside to note is that 4 lifts serve every floor. If you are staying on the higher floors at peak periods it could take quite long for the lift to come. Which leads to picturesque views such as these. You also get to look at the “river” from up here. 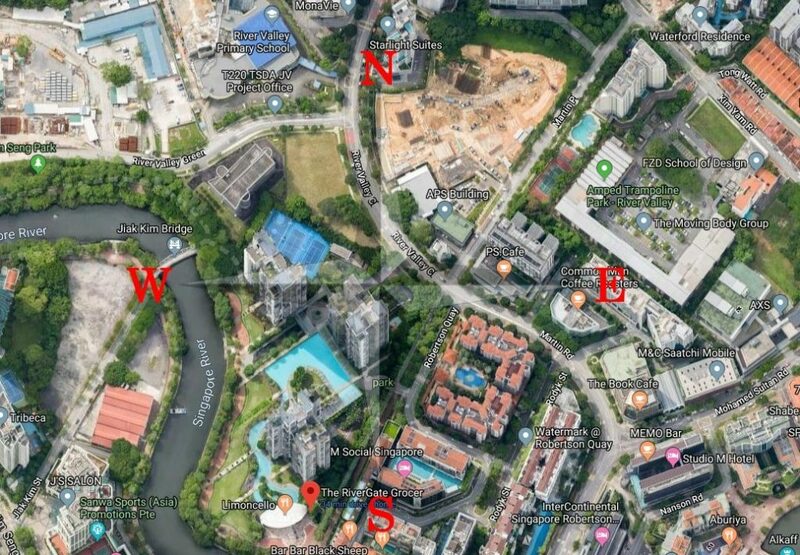 And just to show how near the upcoming Great World MRT station will be. 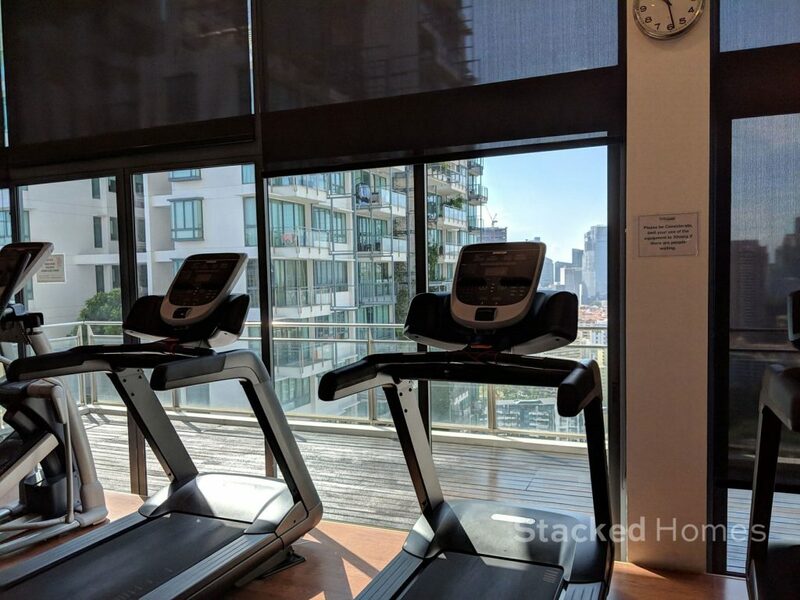 The sky gym offers a fabulous view of the city skyline. We can think of no better motivation while you run. There are also viewing decks at the front, and two others at the side that are mainly used for yoga sessions. Unfortunately, the sky gym only has cardio equipment, and the gym on the ground floor only has weight training equipment. Which means that if you want to use both you will have to travel up and down, and they are located in 2 different blocks! So which are the best stacks? 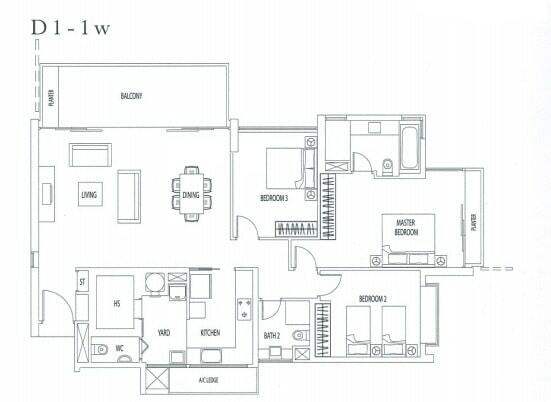 Of course, as the Rivergate condo is not a new launch you do not get the luxury of picking your units. 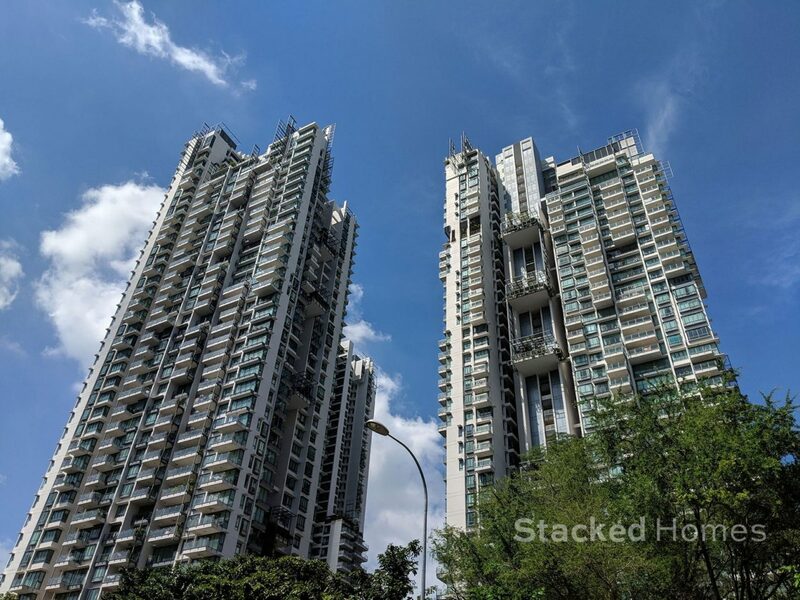 But as there are a number of units for sale, it would be wise to choose carefully. 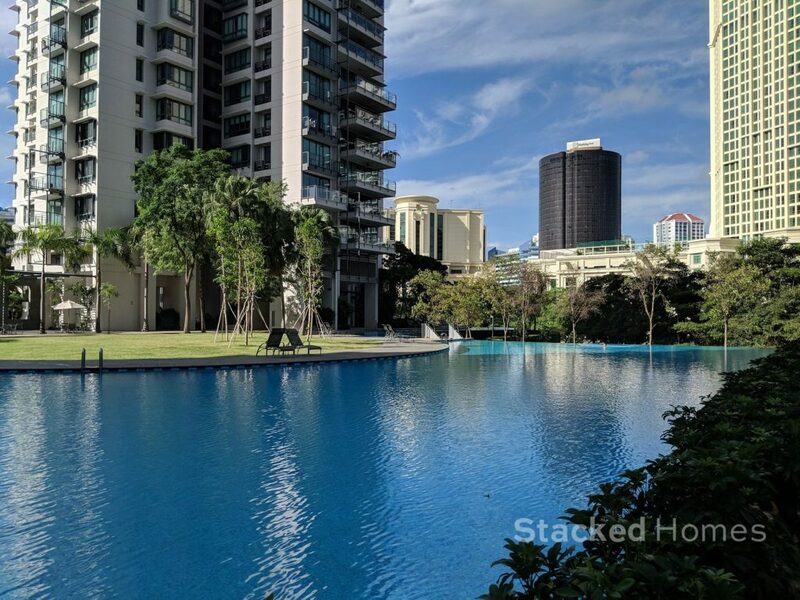 So if you are looking for a unit here how do you identify which stack is the best in the development? First, take a look at the facing for each stack. In general, you want to look for a North South (NS) facing unit as this means you would not get direct sun and it is usually more breezy as well if your unit is unblocked. The next recommended would be the South East (SE) facing units as you get some morning sun, and no afternoon sun at all. 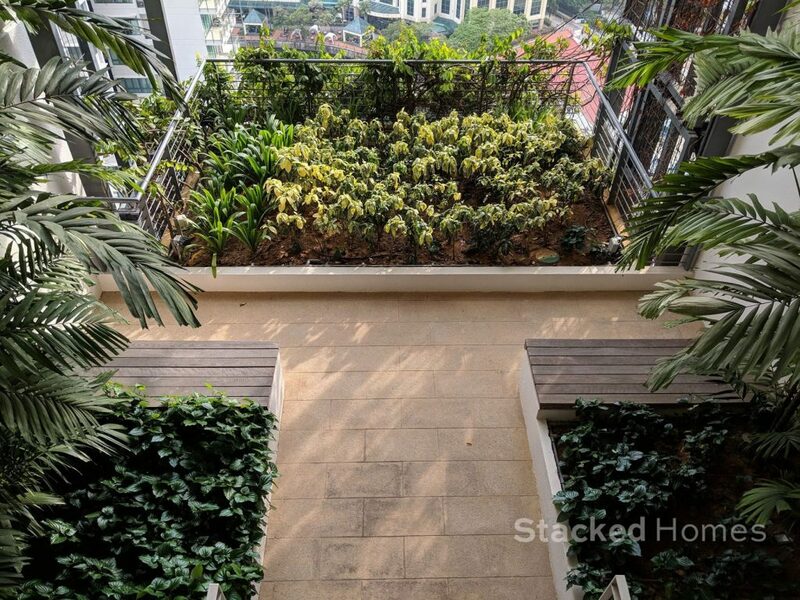 Which is a huge relief in Singapore’s hot climate. If you are a foreigner reading this, trust us on that. In our opinion, stacks 5 and 9 will be the best option if they are available. 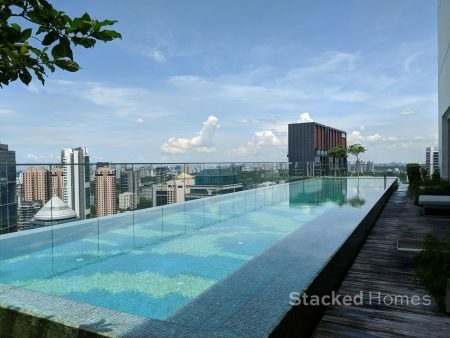 If you are not after the riverfront view, these stacks get the Marina Bay city view. 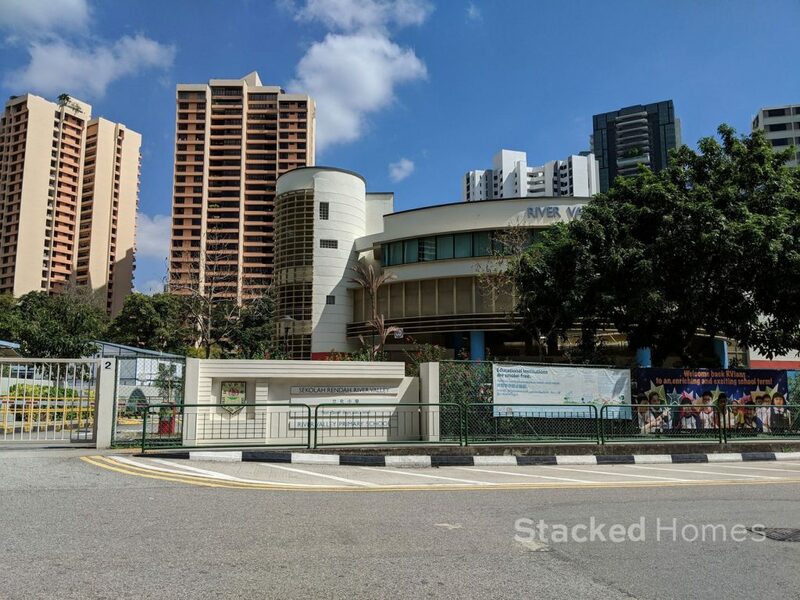 Stacked 5 is SE facing, so no afternoon sun plus if you are looking at the higher floors, there is not much competition as your neighbours like the M Social hotel are all low rise buildings. Which means you get an unblocked view plus additional privacy. Stack 9 has Stack 1 in the diagonal left so that is a slight downside, but we do prefer the layouts available there. 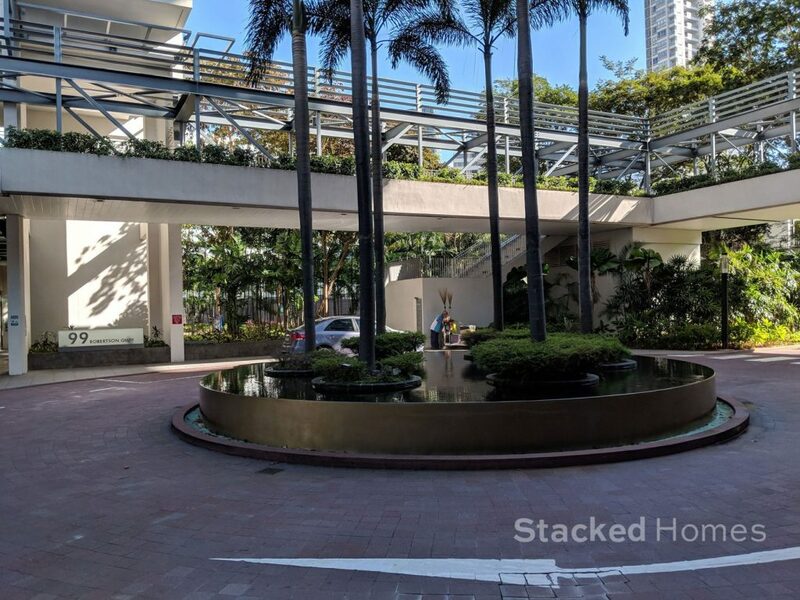 Looking at the prices of the nearby condominiums, the Rivergate condo is definitely priced higher other than Martin No 38, Centennia Suites and Martin Modern. If we were to compare directly to them, particularly to Martin No 38 and Martin Modern as these are the nearest, the price PSF that Rivergate is commanding at this point in time still seems like it is good value. 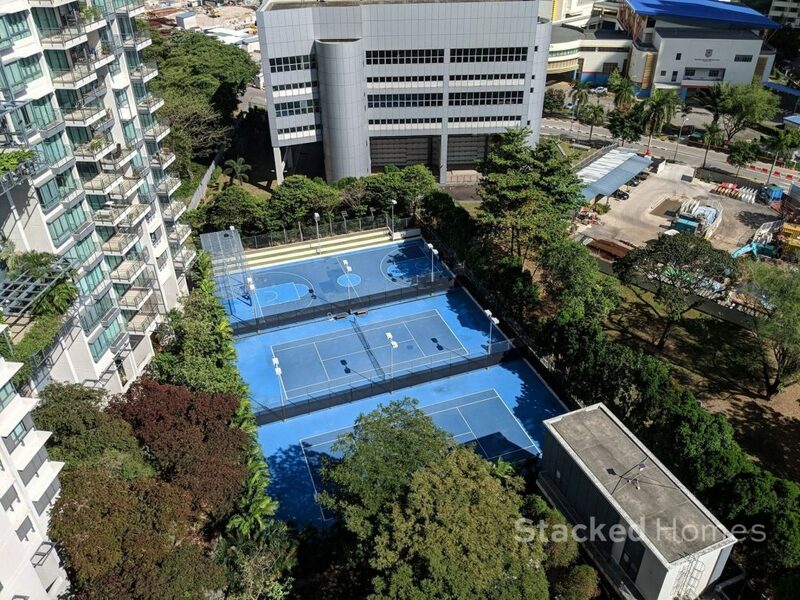 Also, Riviere at Jiak Kim Street which is a new launch 99 year leasehold project is slated to be launched at $3,000 PSF. 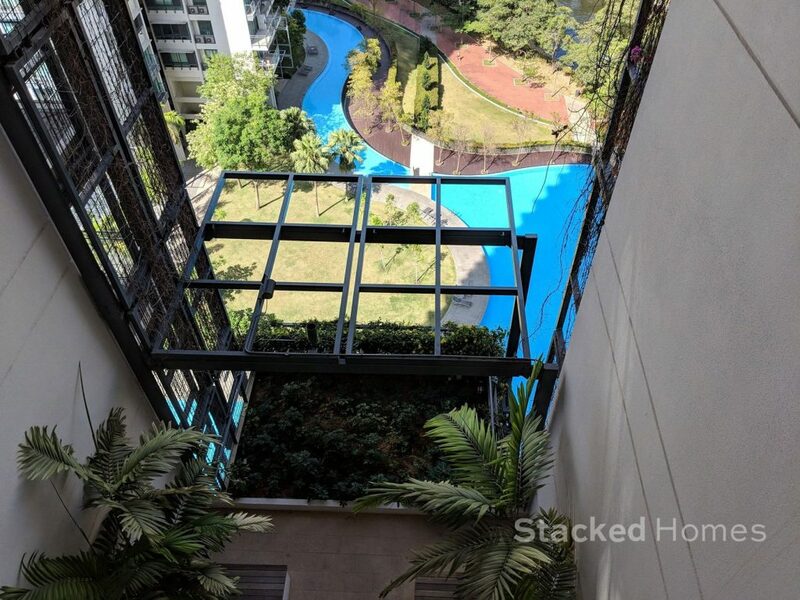 At this point in time the project is yet to be launched so it could be premature to judge, but we think that at those prices, the Rivergate is actually a much better buy. River Valley has many condominiums to choose from, but the Rivergate is quite the standout in our opinion. 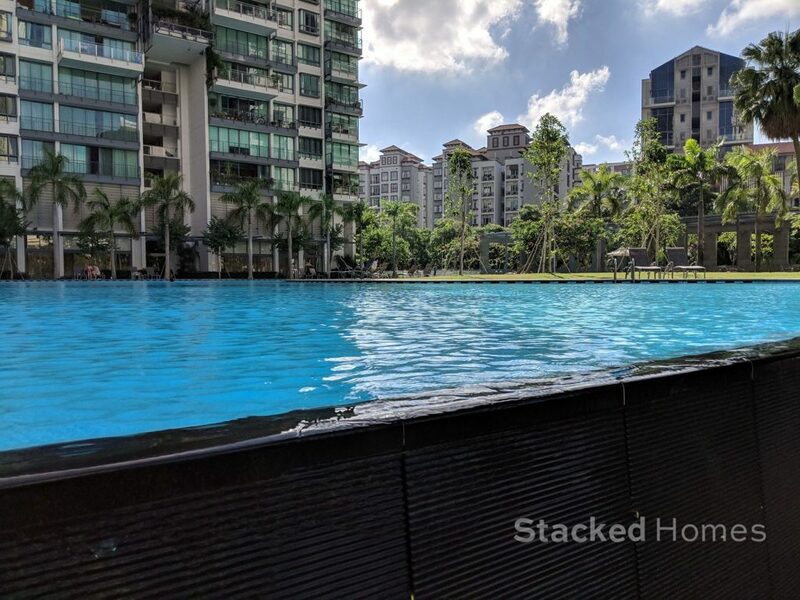 Hopefully our pictures were able to communicate that across, but the swimming pool is really a sight to behold and really solidifies this development as one that is all about the lifestyle. 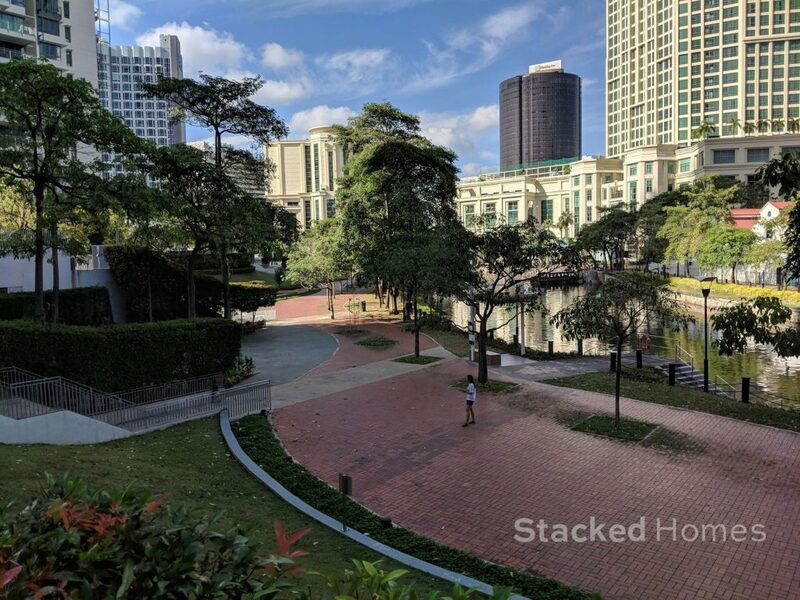 There aren’t many places in central Singapore that has such spacious grounds with the waterfront at your doorstep and yet enjoys such a convenient location. 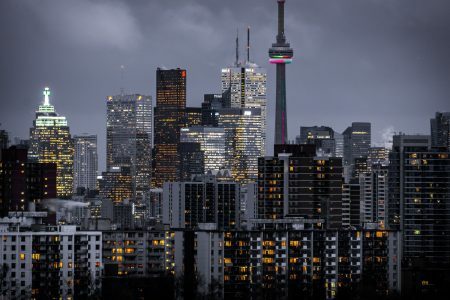 However, we do have to point out that as with many of the city developments, if you are after peace and quiet this would not be the condominium of choice for you. 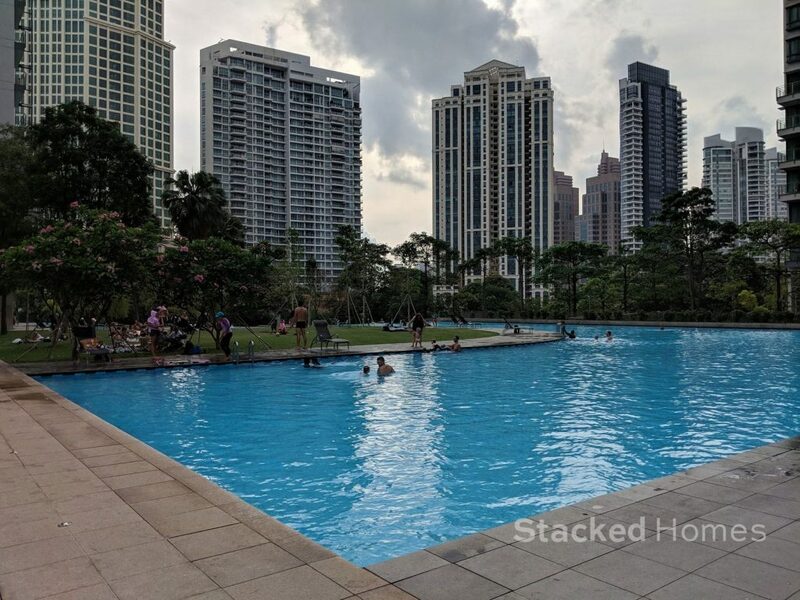 We took the time to come down on a weekend (for the benefit of our readers), and as you can see the swimming pool is very much more crowded and noisy. As a tip, it is always good to pay a visit at different times of the week so you can truly judge yourself on how living at the development would truly be like. 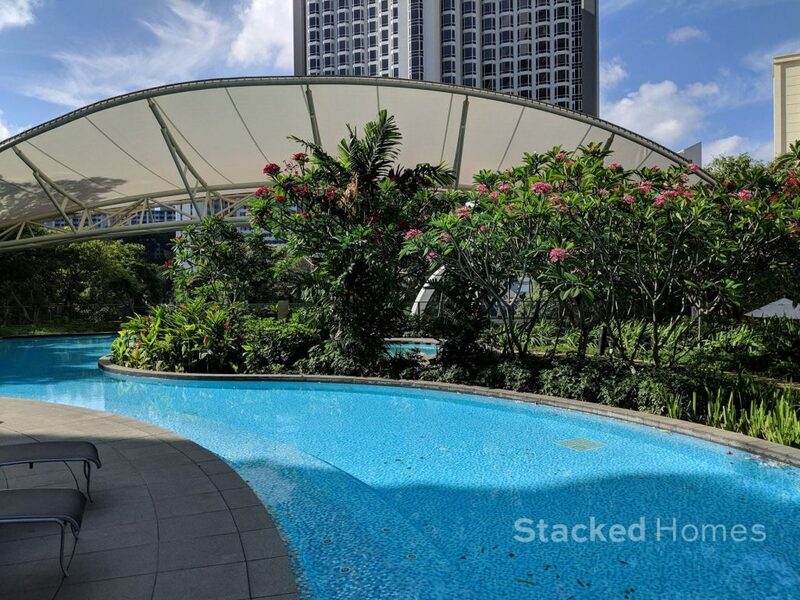 So if you feel that you can deal with the increased activity and noise over the weekend, and enjoy the respite during the weekdays, this could be an option for you. But if you are after the modern and hip lifestyle, this is one place that we can thoroughly recommend. 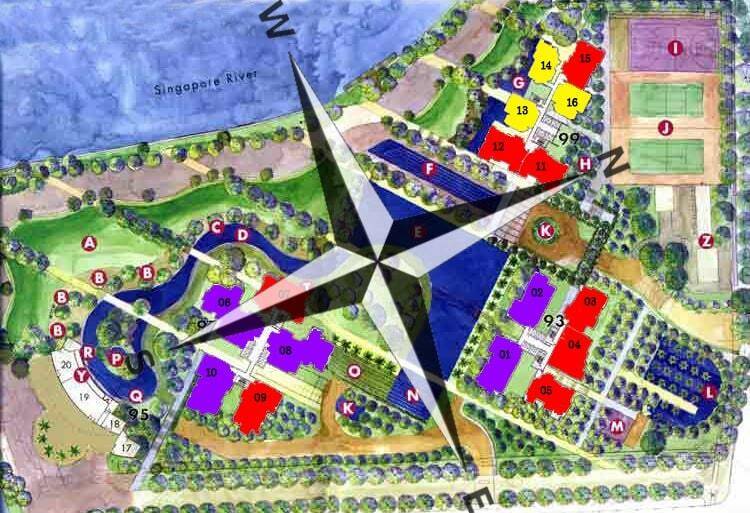 Reading: Rivergate Condo Review: Best riverfront condo in River Valley?